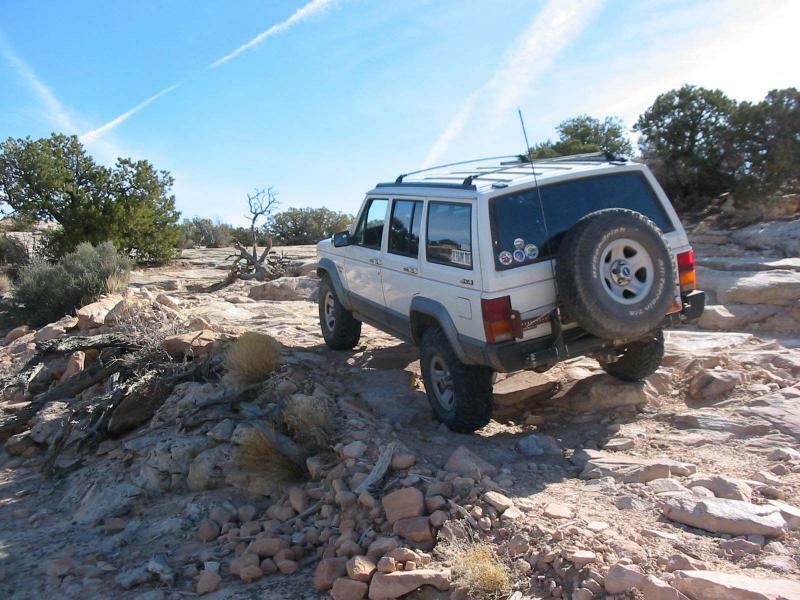 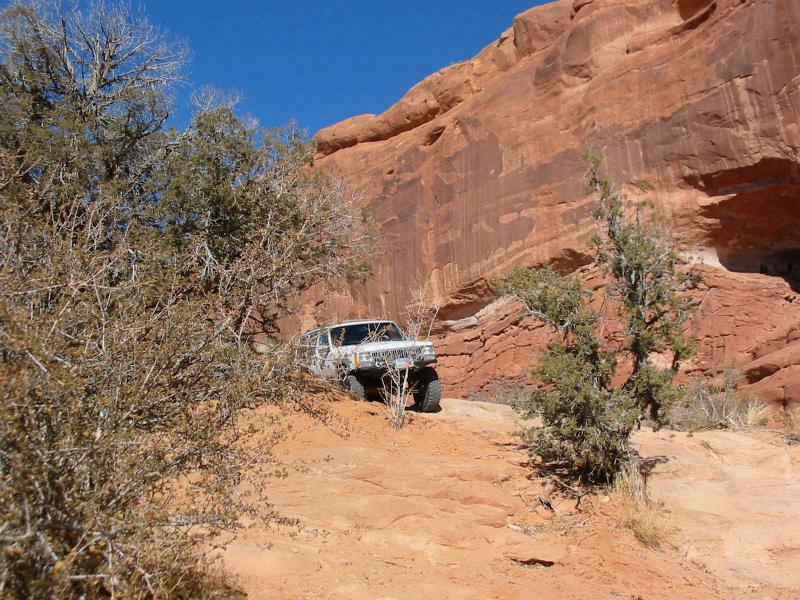 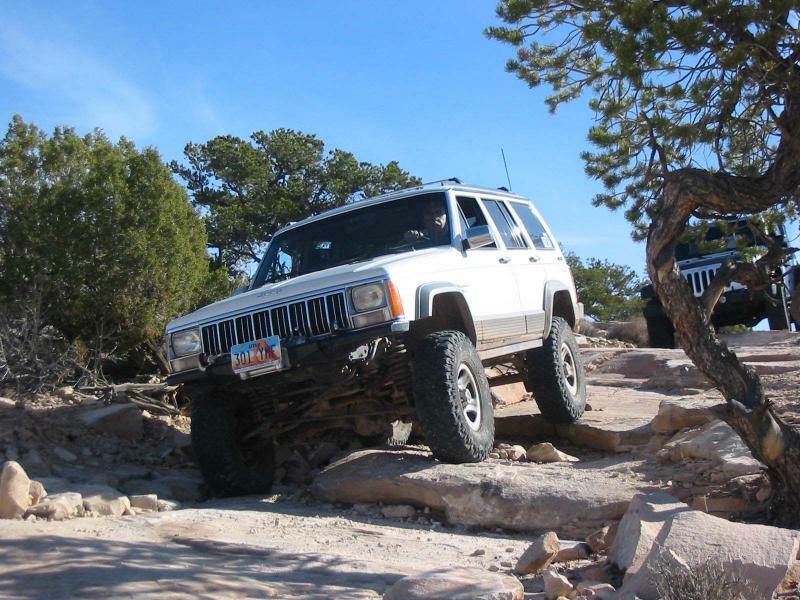 This trail combines the second half of the Wipe-Out Hill Trail and the first half of the Sevenmile Rim Trail for a more challenging trip that retains much of the scenic highlights of both. 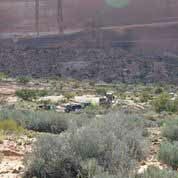 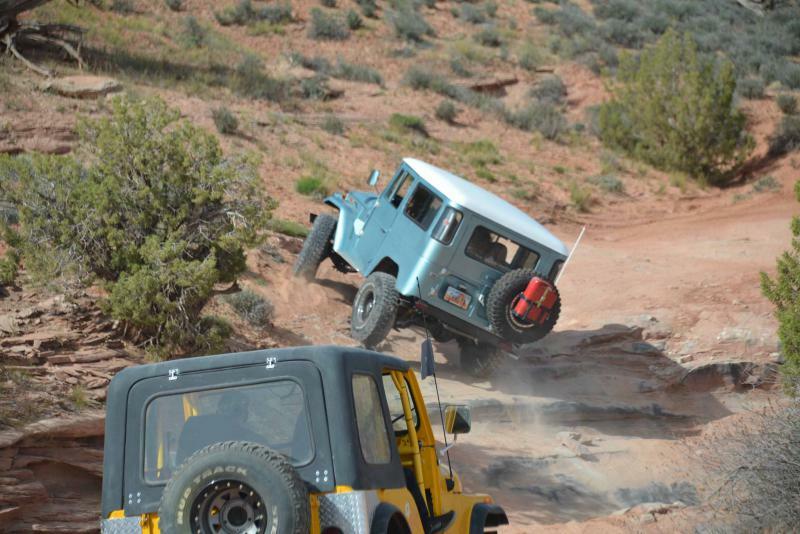 Participants need to be aware that all vehicles must ascend Wipe-Out Hill; there is no bypass. 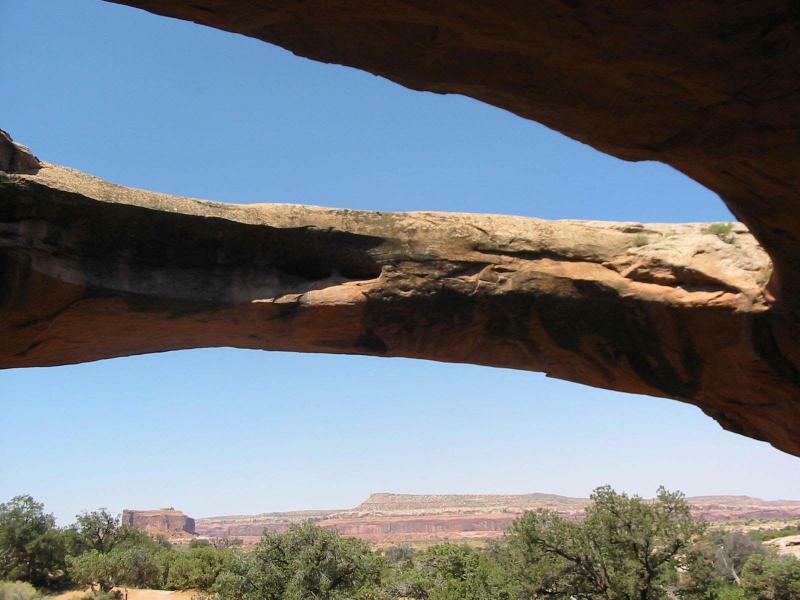 The colorful Entrada sandstone of Big Mesa, atop the white Navajo sandstone, provides the initial scenery. 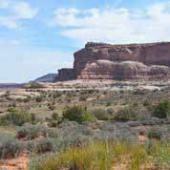 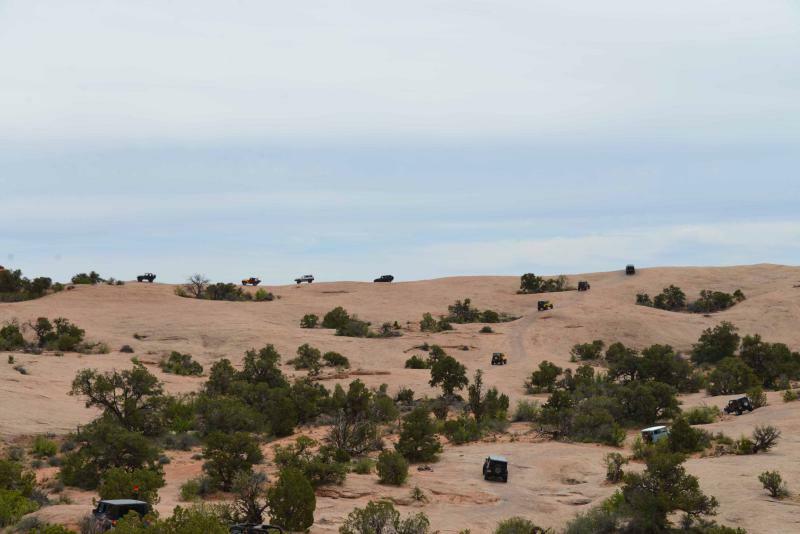 Once Wipe-Out Hill is ascended, the Merrimac Butte, and the Monitor Butte, are each visited. 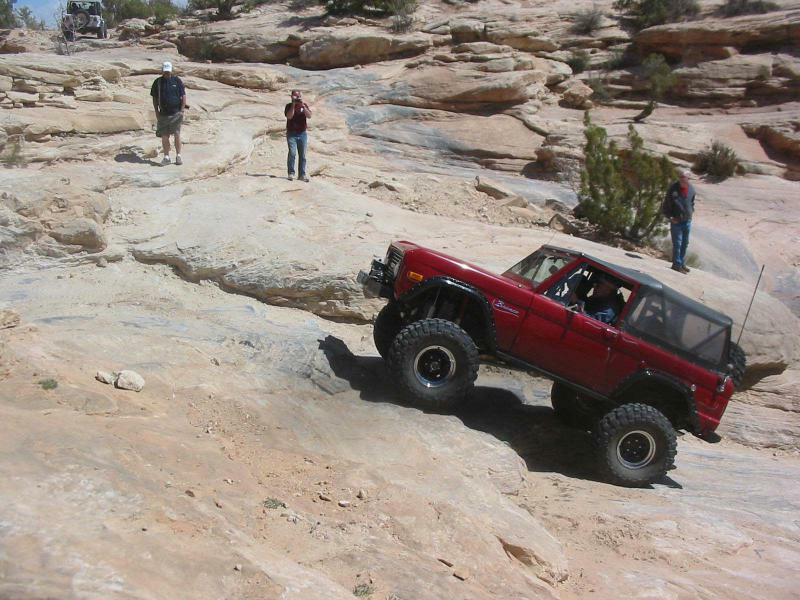 A short sand secton precedes the ascent of Sevenmile Rim. Once up on the rim views down into Sevenmile Canyon, and then views east toward Arches National Park provide the remaining scenery. 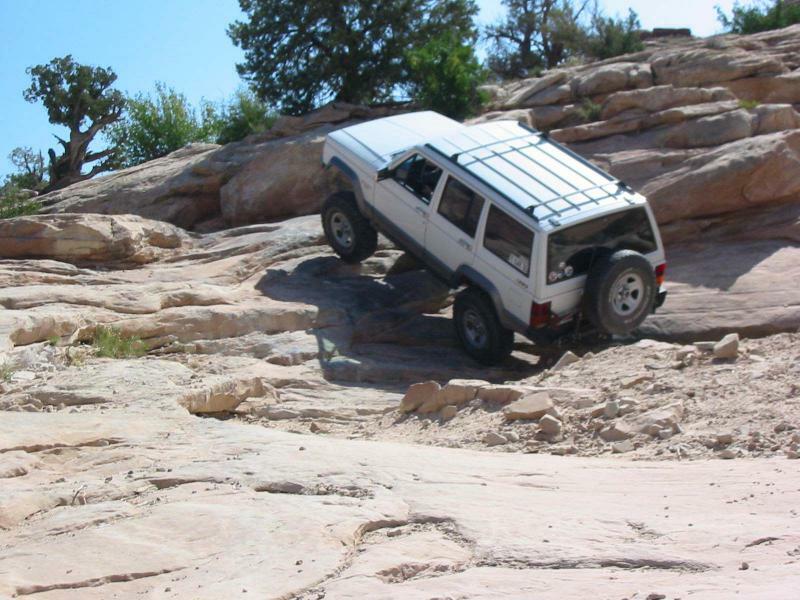 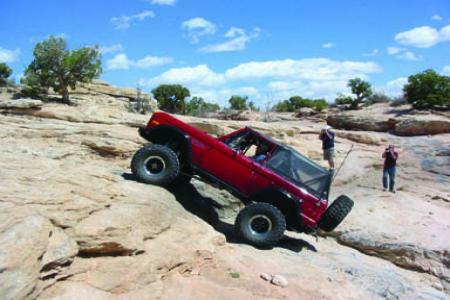 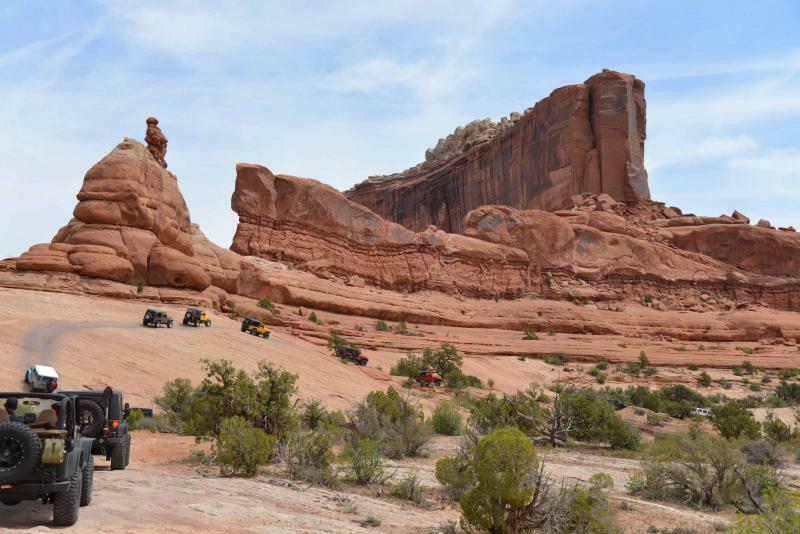 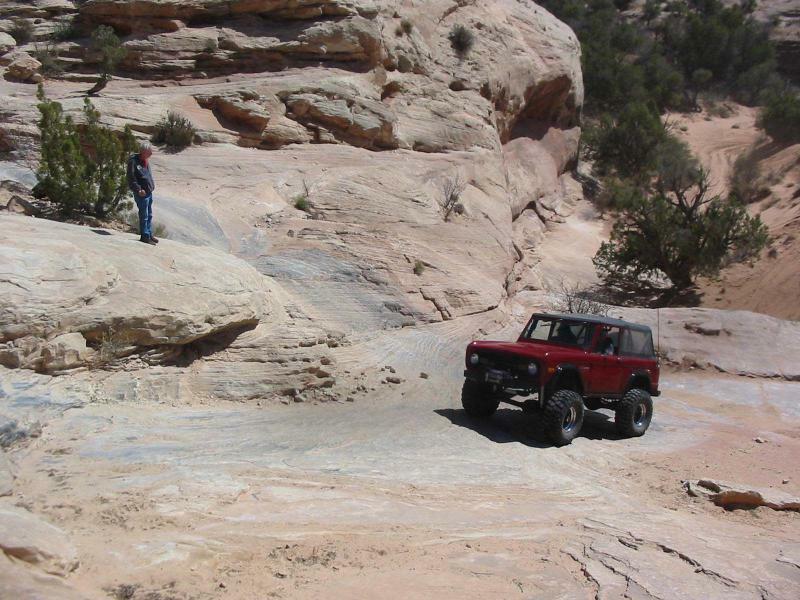 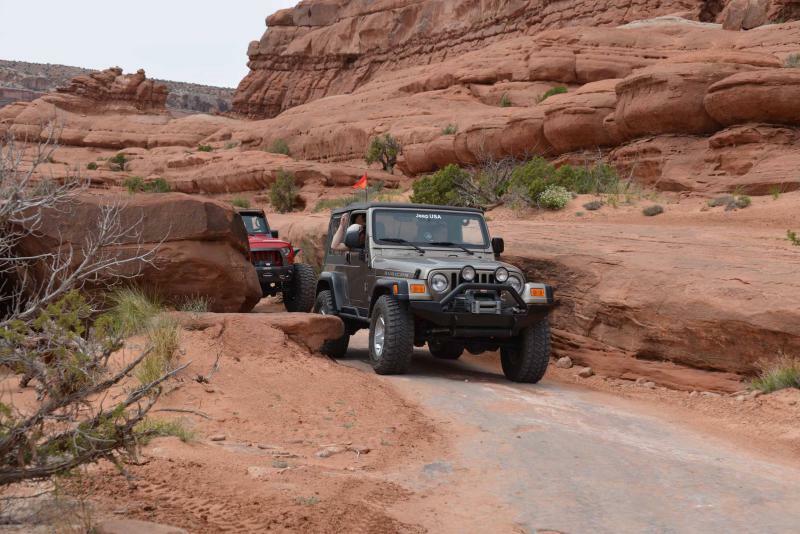 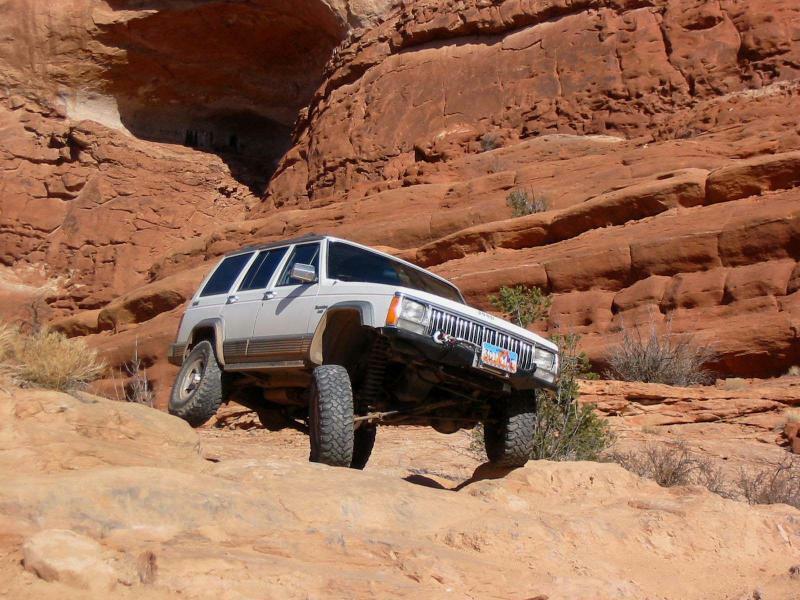 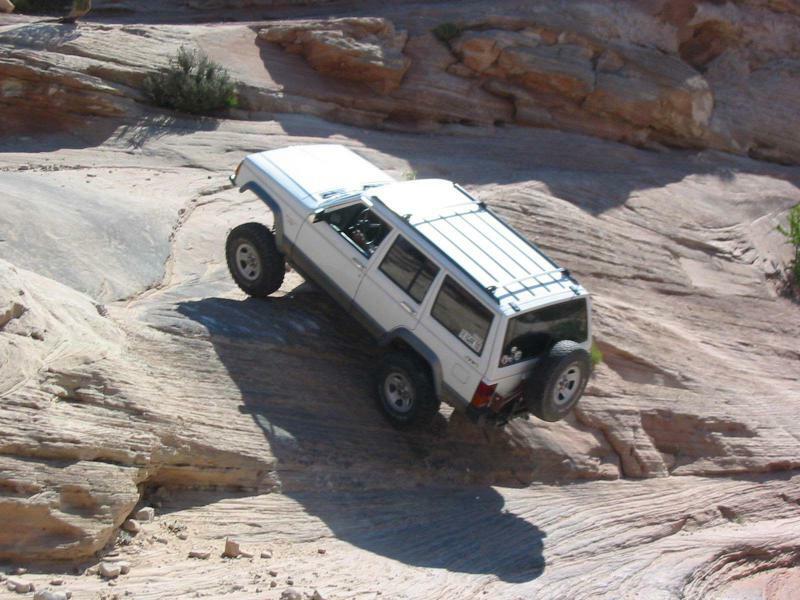 The majority of this trail alternates between slickrock surfaces and sand. 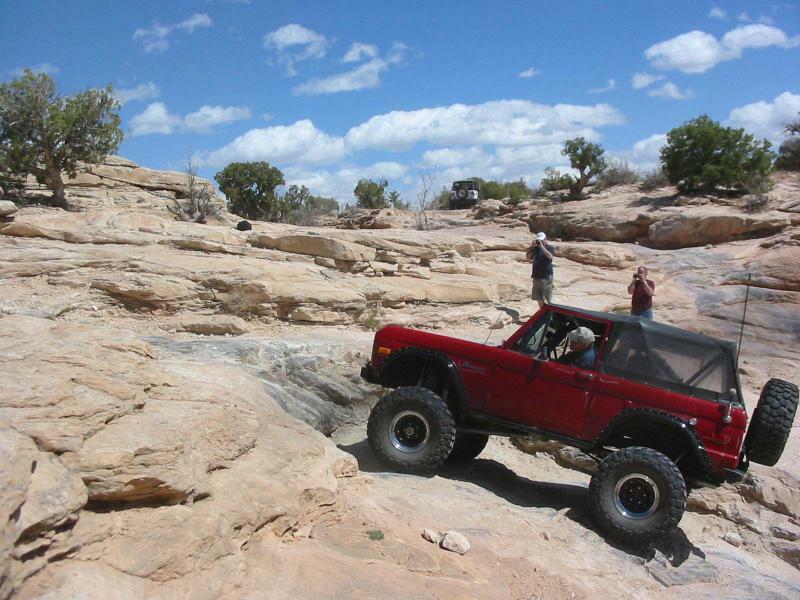 The descent of Rattlesnake Hill as well as the ascent of Wipe-Out Hill, as well as a sidehill section along Merrimac Butte, provide the majority of the four wheeling excitement. 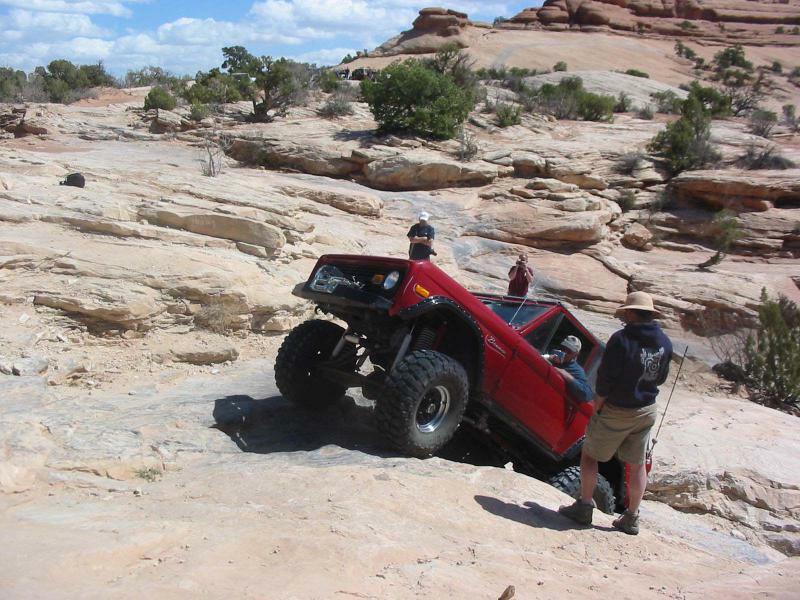 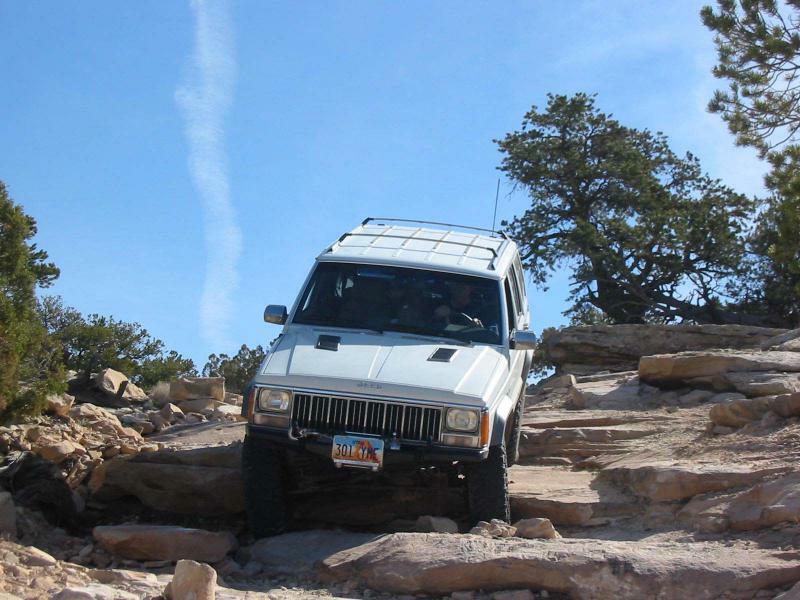 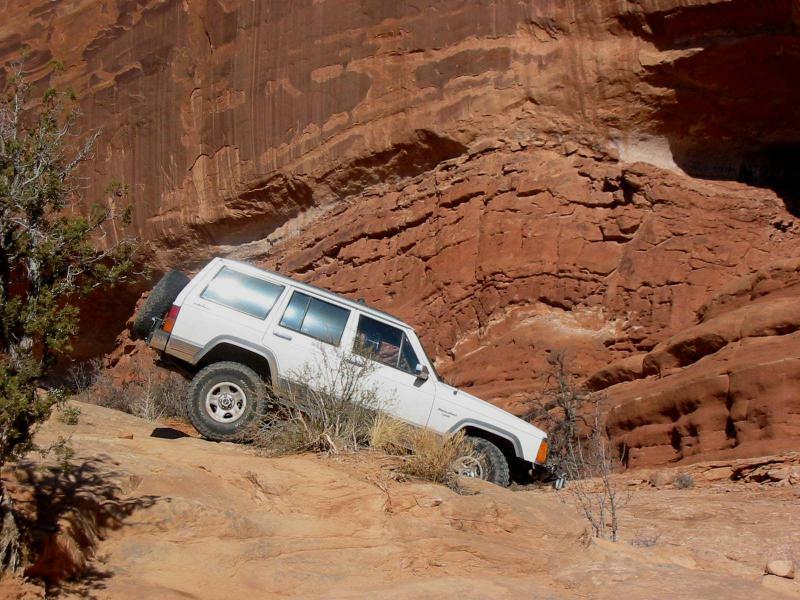 Uranium Arch is interesting to visit and the bumpy descent from Sevenmile Rim will keep drivers awake at the end of the trail. 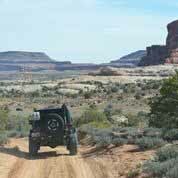 Length: 25 miles total, 17 off highway.